The dog of Angelo del Plato watched intently as his master was lowered into the grave. Eight years later, friends of the family acknowledged that they could not remember a day when that loving dog did not visit his master's gravesite, usually sitting a while on the turf over his master's body... Even those who are not dog lovers must admire and commend the faithfulness of that dog to his master. It is a sharp rebuke to many Christians for their lack of faithfulness to their Master! Enjoy these easy-to-read short devotions by Roger Ellsworth--and a good cup of coffee at the same time! 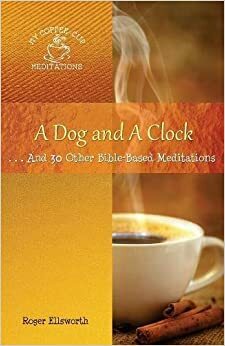 My Coffee Cup Meditations are short, easy-to-read, Bible-based devotions to help you consider God's greatness, the wonderful gospel of Jesus, and be better equipped for life here and hereafter.